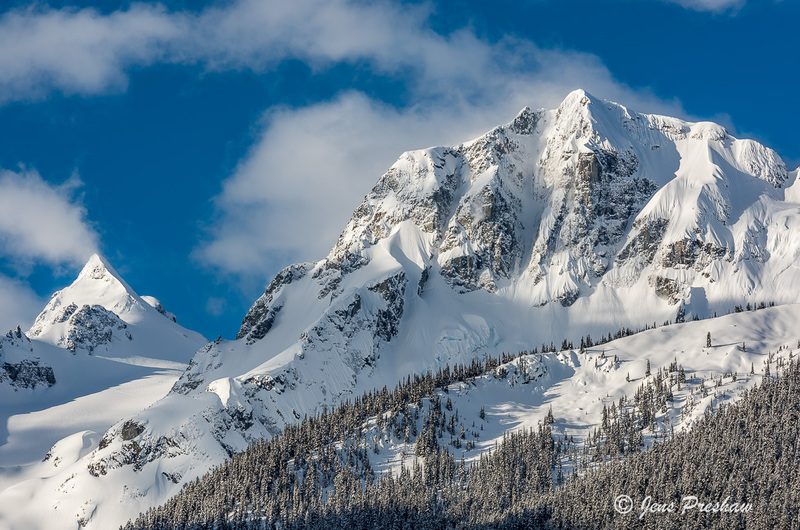 This image shows Joffre Peak ( 8927 feet ) in the foreground and Mount Matier ( 9131 feet ) in the background. To the left, below Mount Matier is the Anniversary glacier. If you look closely you can see four backcountry skiers making their way up the glacier.